Cate: Please welcome Mike Silvestri. Mike, will you please share a short bio with us? Mike: Hi, everyone! I’m a life-long Central Pennsylvania resident, married, with two grown & married children. I’ve been a writer all my life. I just didn’t realize it until my mid-forties. Someone suggested that I join a writers’ group, which I did in 2001. Since then, I’ve been blessed with two published novels, oodles of published short stories and even a few awards. 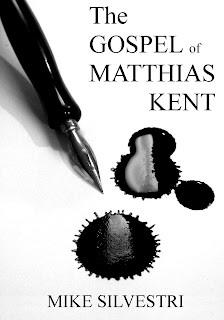 Cate: Although I've read The Gospel of Matthias Kent and found it compelling as well as fascinating, for the benefit of readers, please tell us about your novel and where it's available. Mike: My new book, The Gospel of Matthias Kent, (ISBN 9781933157320), is part science fiction as social commentary and part thriller. Think Fahrenheit 451, not Star Wars. It’s available in print at Amazon, Barnes and Noble, and the Mechanicsburg Mystery Book Shop. (They have the best price!) Kindle, ePub, and PDF editions are also available for Kindle, Nook, Kobo, and Sony owners. 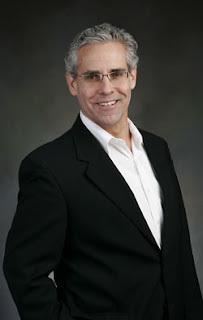 Mike: One-hundred-fifty years from now, up-and-coming advertising executive Matthias Kent sells both sin and redemption to the masses under the watchful eye of the Synod, a theocracy that dominates life in a fractured America. But the country is down to its last loaf and fish, and there are no more miracles unless you are rich and powerful. That is, until Matthias Kent undertakes a forbidden journey, and unearths a secret so explosive that it tears his pampered life apart. With the murderous forces of the Synod closing in, Matthias confronts a bitter choice — surrender, or all-out-war. Cate: Such a great cover. What inspired you to write about the theme? Mike: There were hundreds of small inspirations, things that I saw and heard that nettled me, or niggled me into launching Gospel – religious conflicts, amoral businesses, political polarization. But these big themes were useless to write about unless their effects could be expressed through one character – Matthias Kent. Mike: I’m very flexible when it comes to development. I do informal outlining, and brainstorm the plot based on a certain ending. My characters come in to being the same way and I let their characterizations drive the plot. At this stage, nothing, and no one, is set in cement. Once I’m satisfied that I’ve mulled things over enough, I transition into more structure. I write up fairly detailed biographies of the major characters. It begins with vital statistics and then drills into their individual psyches. My feeling is that this is where I hear their ‘voice,’ and it makes writing in that particular voice easier for me. One thing became apparent during the early development of Gospel – the very world my protagonist lived in needed its own character biography. What did his world look like, smell like, sound like? Why did it rain most of the time? How did things get the way they were? Who lived where, and why? So, I went about world-building and creating a historical timeline of detailed events. Like my plot and characters, I went through a lot of iterations until everything made sense. Without it, Gospel would have suffered. Once all that gets done, I go back to my informal outline and start filling in detail until a coherent story arc comes in to view. I usually feel pretty good at this point. That is, until my characters start talking to me and telling me how things really are. Mike: Yes to both questions. I may have created Matthias and his world on paper & PostIts, but he most definitely came alive. He got me to laugh. He made me furious. His hopelessness gutted me. His courage lifted me. And I cried by his side more than once. I hear him still – as well as from other characters in Gospel. It wasn’t until I read an interview with Ray Bradbury that I realized this link between writers and their characters wasn’t unusual. Bradbury still hears Beatty (from Fahrenheit 451) in his mind. I would imagine that readers might find this at least a little odd. But, I’m convinced that the best writing occurs when the character lives their story, and the author gets out of the way. Cate: Writers definitely relate. I think Matthias wants a sequel! Speaking of which, what's next for you? Mike: I’ve been revising the plot to a second Lazy Dog Mystery. That is, if the voices from the characters in Gospel don’t drown out the characters in my mystery series. Then, there’s the dozen or story skeletons on my computer awaiting fleshing out. A writer’s work is never done. Cate: Oh, I hear ya. Tell readers about your other published works please? 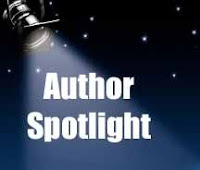 Author: I’m the author of the Lazy Dog Mystery Series. Its first installment is called Bark of the Tree. (ISBN 1572493674) It features an everyman protagonist thrust into bad situations, and his incredibly lazy Shetland Sheepdog, Abby. I’ve also got an anthology of tabloid science fiction called, It Came From Beyond the Sun. (ISBN 978-1448688975). Bigfoot? Flying Saucers? Divorce lawyers in space? Yes, they’re all here. These stories were originally published in that doom and gloom denizen of the supermarket checkout aisle, The Sun. This book is great fun for those who like to snack on short stories from time to time. Cate: Many great reads in one volume, I can again testify. Mike: The most challenging aspect of writing is REVISION. I write that in caps because it’s so incredibly important. A book is refined, not written. Yet, I’m my worst enemy when it comes to revision. Sometimes it's laziness. Sometimes it’s ego. Fortunately, I had a small cadre of readers who took me to task for what they felt was missing in Gospel. It was my wife who challenged me most, and thank God she did. The most rewarding part of being a writer is connecting with readers. That may sound like some kind of cheesy, commercial answer, but writers thrive on knowing that readers enjoyed the story. It makes all the work worthwhile. Cate: Take that wife out on the town! What’s the most interesting comment you have received about your books? To this day, I think of her when I get down in the dumps about the publishing business and all of its rejections. Cate: Gotta love readers who finish before making it out the door. Who are some of your favorite authors and books? What are you reading now? Mike: I have a pretty eclectic list of favorite authors. John LeCarre gets the top spot overall with his well-drawn characters who move seamlessly through complex plots. Tinker-Tailor-Soldier-Spy and Smiley’s People are my faves. Margaret Atwood (The Handmaid’s Tale), Orson Scott Card (Ender’s Game), Larry Niven, Jerry Pournelle (The Mote in God’s Eye), and Anne McCafferty (The Dragonriders of Pern) round out my science fiction author favorites. And, Lawrence Block tops my favorite mystery writers with his dry wit and whimsical burglar Bernie Rhodenbahrr. These days, I’m reading Inside of a Dog, a book on dog perceptions & perspectives, by Alexandra Horowitz. Mike: Easily enough at www.mikesilvestri.com. Cate: Thanks for being my guest, Mike! Best of luck with all your projects. Great interview, Mike & Cate! I'm still waiting to get a copy of this book. I keep missing your local appearances. Where is your next signing? I'm appearing at the Midtown Scholar on October 16th, and at the Celebrate the Book Bookfair in Carlisle on October 23rd from 11:30 till 1:00 PM at the Mechanicsburg Mystery site.